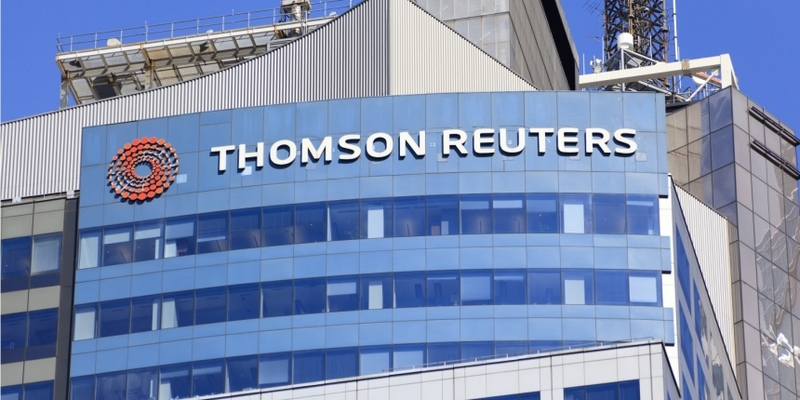 Canada-based information and news provider Thomson Reuters is to track a number of crypto assets on one of its desktop finance feeds, thanks to a new partnership with market data aggregator CryptoCompare. Under the deal, CryptoCompare will collate order book and trading data for 50 crypto tokens sourced from “trusted” exchanges to be provided to investors through Thomson Reuters’ Eikon platform, according to a press release. The added data will provide institutional investors with “reliable insight” into the crypto asset market, enabling them to predict asset price movements with “a high degree of probability,” Thomson Reuters said. The firm added that it has been engaged with CryptoCompare since the startup took part in a blockchain hackathon hosted by Thomson Reuters in September 2016. The addition of the new data feed comes after Thomson Reuters in May launched a “sentiment” feed for bitcoin – a service that uses AI to analyze over 400 sources of data, scouring news articles and social media posts in search of actionable insights for investors. That feed was expanded in mid-June to cover sentiment data for 100 different cryptocurrencies.